To hide blemishes, age spots and veiny areas, forget foundation and concealer and try a primer. Applied over moisturiser and under your foundation base it acts as an invisible layer of pore perfection. Most primers contain tiny micro-particles of powder mixed with sophisticated surface-smoothing silicones that fill your pores! You want to cover your flaws but you don’t want it to look like you’re wearing a mask! A slight sheen helps to make your skin look natural, and more beautiful. Make-up highlighters assist with this – add a drop or two to your fingertips and blend on to the upper part of your cheekbones, the sides of your forehead, your hairline and a little over the collarbones to balance. Dewy, soft skin makes you look instantly fresh and a little younger. Skin’s the thing. 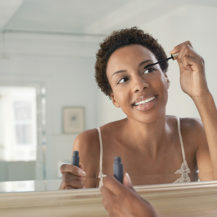 Whatever else you’re drawing attention to, whether it’s your eyes or lips, if your skin is anything other than flawless, it will only detract. A great foundation has light coverage that smoothes away blemishes and unsightly marks. 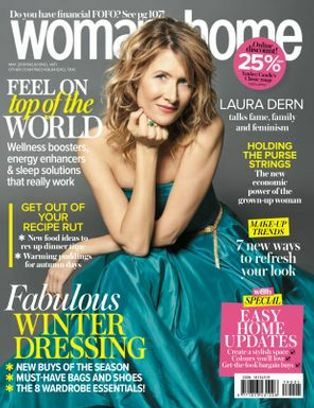 Once you’ve got your flawless cover, you’re able to work the rest of your magic. 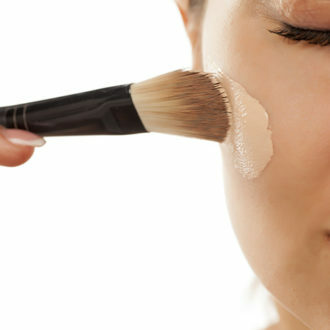 With foundation or concealer over your eyelids, a skin-tone shadow gives the eyes a groomed perfect finish. 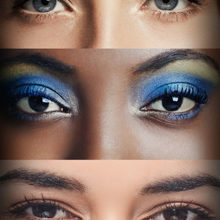 Fair- to medium-skin tones need this coverage the most, but even darker Asian and black skin tones suit “clean” eye make-up. One great matte, all-over eye colour – from lashes to brows – blends beautifully with a slightly deeper beige or brown into the socket line or as a subtle powder eyeliner along the lashes. An illuminated skin with matte eyes will minimise rather than enhance fine lines. 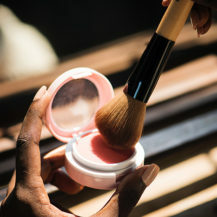 Cheeks flush pink, never brown, so use blushers with pink and peach tones along with a bronzer to add a touch of luminosity. 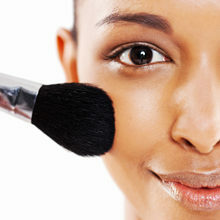 First apply bronzer then blusher on the apple of your cheek, the fullest and roundest part of the face.